Zebra S4M - Direct thermal printing, 203 dpi, 4" print width, Serial/Parallel/USB interfaces. Includes US power cord. Interface cables sold separately. Printer is great!~Software not so great. When purchasing the printer, no mention was made that an additional investment of $500.00 is needed in order to be able to actually use the printer. However, I was able to find affordable software to run our labels. No bar code can be printed. 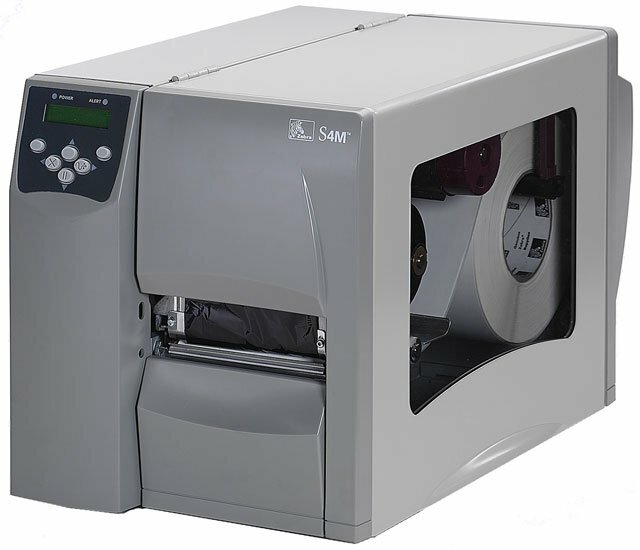 Unless you are willing to spend another $500.00 don't buy this printer as it will be useless to you. The printer itself is awesome. Too bad the company does not tell you at the time of purchase that you can't really use it unless you spend an additional 1/2 grand! The Zebra S4M00-2001-0100D is also known as ZEB-S4M00-2001-0100D	or S4M0020010100D	.